Several new articles and reviews have been added to The Brick Testament’s press page, accompanying the release of Das 1. 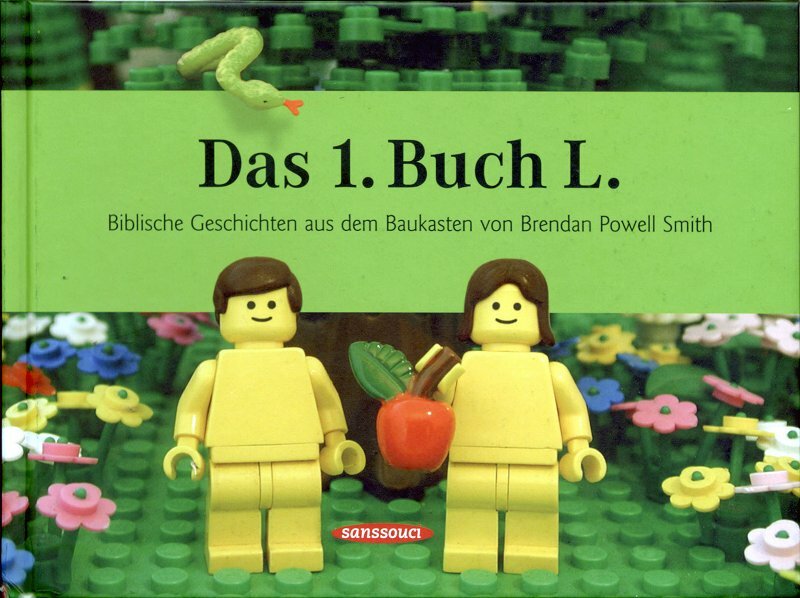 Buch L., the German language translation of Rev. Smith’s hit book Stories from the Book of Genesis. Magazines and newspapers such as Süddeutsche Zeitung, Abendzeitung, Katholische Nachrichten-Agentur GmbH, Annabelle, and Focus witness a wide range of reactions, from a call to burn Rev. Smith at the stake for his blasphemy in the Stuttgarter Zeitung to the highest of praise from the Katholische Nachrichten-Agentur (Catholic News Agency). The UK’s .net magazine also recently featured a short interview with “The Brains Behind” The Brick Testament.